Close to 90 scouts from Lebanon and Syria, as well as Tbilisi and Javakh for the first time ever, arrived at the AGBU Antranik Scout Camp site nestled among the majestic beauty of the Dilijan forests. Sunday, July 8, 2012, marked the first day of the season as the organization’s youth got acquainted with both their homeland and fellow scouts. A reporter from Armenia’s Fortuna TV station was on the scene for the traditional bonfire night that took place this past Sunday, where scouts displayed their talents proudly during a cultural program. Parents and supporters numbering in the hundreds gathered at the AGBU Vatche & Tamar Manoukian Center in Pasadena on February 11, 2012, for the AGBU-AYA Glendale/Pasadena Scouts Troop’s annual Winter Award Ceremony. Led by the Glendale/Pasadena Chapter’s newly formed marching band, the scouts marched into the center’s gymnasium to begin with the traditional flag ceremony. 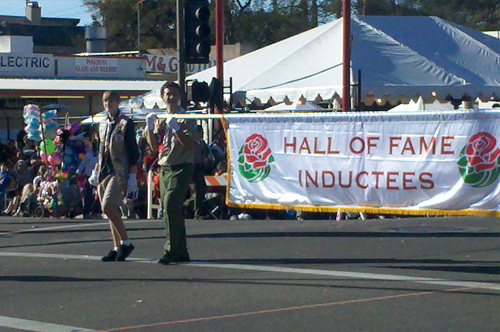 Knowing what an important event the Tournament of the Roses Parade is not just in Southern California, but all over the United States, we were proud to learn that Arman Seuylemezian, an AGBU Eagle Scout, was chosen to carry the Hall of Fame Inductees banner in the annual parade on January 2, 2011. Arman been an AGBU scout for the past 11 years, and is currently a student at the AGBU Vatche & Tamar Manoukian High School in Pasadena, California. He achieved the rank of Eagle Scout in March, 2011. A television news segment on the AGBU scouts in Armenia. This television segment was broadcast on recently on Armenian public television, H1. 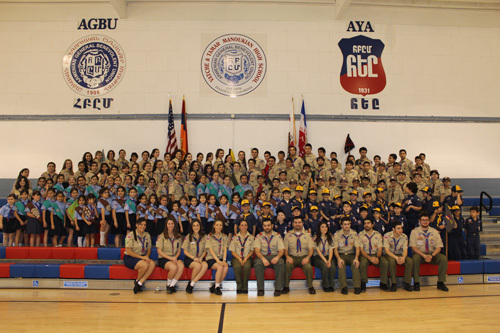 In addition to an overview of the AGBU summer camp in Armenia’s Lori region, it features short interviews with AGBU scouting leaders and scouts.